Each year OSF Saint Francis runs a Bariatrics awareness campaign for their surgical weight-loss center. 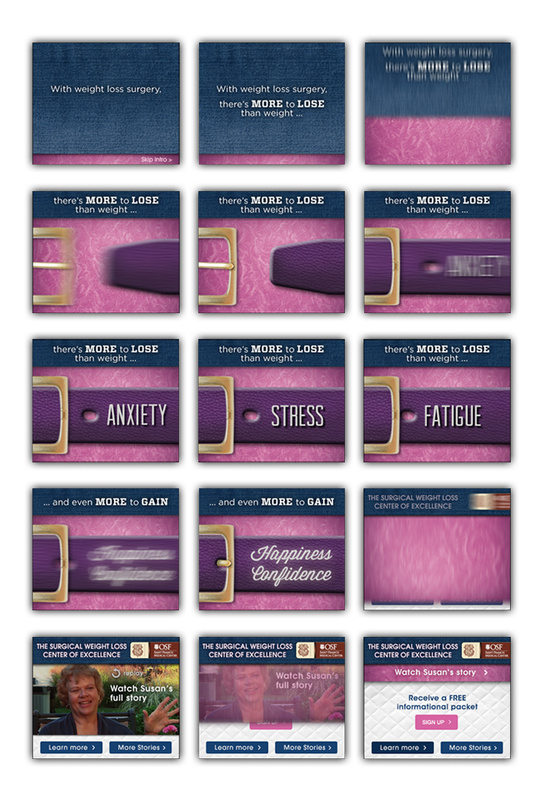 This year we used an emotional appeal to target our audience with a simple visualization of a belt being tightened. raise awareness for KU MBA's Certificate Program. raise awareness for KU's Business School.